Linda S. Perry has a strategic payments consulting practice that advises merchants, processors and acquiring companies. She also works with start-ups and entities engaged in acceptance in mobile and other new technologies. In 2013, 2014 and 2015, she was named one of the 20 Most Influential Women in Payments by PaymentsSource.com. She is a co-founder of the Global Acquiring Conference (formerly International Acquiring Forum), a conference in London. She retired in April 2009 after 17 years at Visa, Inc. For a substantial part of her career there she served as Senior Vice President and Head of Acquirer and Processor Sales for the US. In that role she established and developed the department that managed Visa’s relationships with its member-bank acquirers, third-party issuing and acquiring processors, software vendors, and independent sales organizations. She also developed a widely read industry newsletter, organized the US Acquirer Council, established an annual global executive forum in Paris, and she introduced many new products to the acquiring marketplace. Prior to that Ms. Perry was VP and Regional Manager of Member Relations at Visa. Before joining Visa, Ms. Perry was a VP at Citicorp in Chicago and held VP Positions at Michigan National Bank. In addition to these achievements, Ms. Perry served as a member of The Electronic Transactions Association’s Board of Directors for 13 years and was honored for her contributions at the 2009 annual meeting. During her career at Visa she was recognized by Transaction World Magazine as the 2007 “Mover and Shaker” (an award determined by a vote of her peers) and in 2008 was featured as an “Industry Leader” by The Green Sheet, another industry publication. 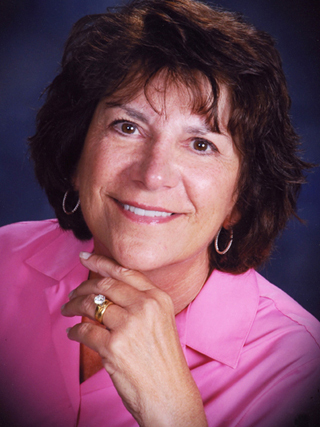 In 2010, Linda was given the Lifetime Achievement Award by the Midwest Acquirers Association. She is a founder of W.net (Women Networking in Electronic Transactions) and continues to serve on its Board of Directors. She graduated ‘With Distinction’ from the University of Michigan. Linda and her husband, Michael divide their time between homes in Scottsdale, Maui and Michigan.